If you think you are stuck up with a home loan from a bank or financial institution that charges you higher rate of interest, there is a way out. 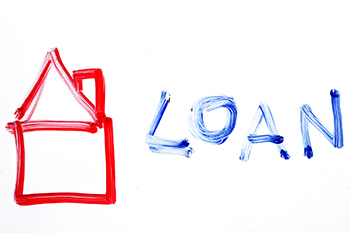 You can transfer your home loan to another bank that charges lower rate of interest and save on your interest outgo. If you think you are stuck up with a home loan from a bank or financial institution that charges you higher rate of interest, there is a way out. You can transfer your home loan to another bank that charges lower rate of interest and save on your interest outgo. But before you decide to transfer your home loan, you need to check out a few things to make sure that the transfer would be advantageous to you. The first thing to check out is the prepayment charge levied by your bank on foreclosure of loan. Thus is a big disincentive for transfer of loans to other banks. The foreclosure charges may range from 2-3% of the outstanding amount of loan, which means that on an outstanding amount of say, Rs 10 lakh, the prepayment charges would be Rs 20,000-Rs 30,000, which is the cost of transferring a loan of Rs 10 lakh to another bank. The second thing to check out is the processing fee you need to pay to the bank where you wish to transfer your loan. The processing fee can range from 0.5-1% of the loan amount, so on a loan amount of Rs 10 lakh, the processing fee would be Rs 5,000-Rs 10,000, which is an additional cost you would be incurring for transfer of your home loan. After paying the prepayment charge and the processing fee, if you are still saving a substantial amount on your interest outgo, then you should certainly go for transfer of your home loan.